The folks over at AltUse.com, a great site where readers offer ideas about alternative uses for common items, have nicely offered to share some of their brilliant ideas with us. 1. Acne: The salycilic acid in asprin makes for a great facial for acne or aging skin. Crush 5-10 non-coated asprin tablets, add small dab of water and plain yogurt. 2. Sweat stains: Crush two aspirin trablets and add to 1/2 cup of warm water. Soak stained part of clothes item in the solution for approximately 2.5 hours. 3. Bee stings: To reduce the pain of a sting, moisten the skin around the sting, rub an aspirin tablet over the area for a minimum of one minute. 4. Dandruff: Crush two aspirin tablets, add to dab of shampoo, and wash hair. 5. 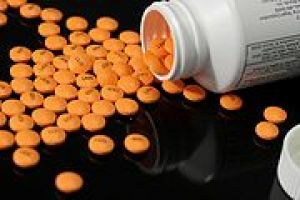 Mosquito bites: Break open an aspirin table and apply to a mosquito bite for itch relief. Got another idea for using up extra aspirin? Leave it in the comments. www.BeeStingCure.com available when see was stung, none of her discomfort would have elevated to that extreme point of swelling and discomfort.